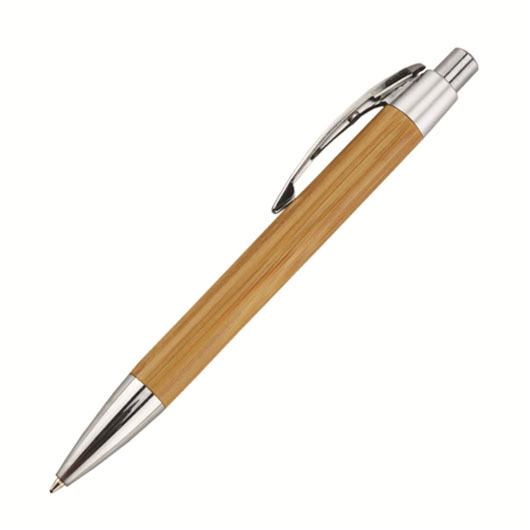 Made from Eco friendly bamboo - these pens are a great alternative to plastic. Due to the speed at which it grows bamboo is a great sustainable eco friendly material. 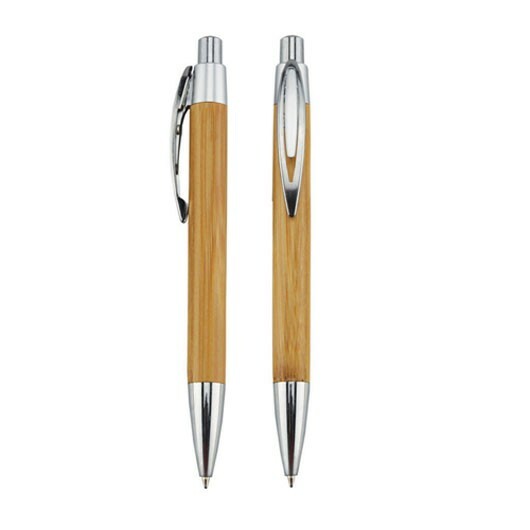 These pens are a great way to show your potential clients that you have "green" values. They are 100% biodegradable and have a light natural colour with metallic trim. They are click action with a plastic Parker style German black ink refills with a 1400m writing distance. They also come with a tungsten carbide ball at no additional cost.